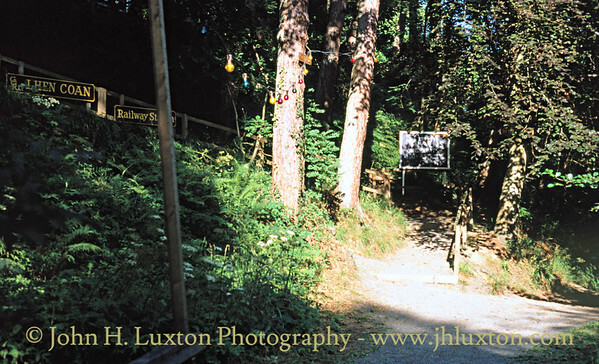 The path up to Lhen Coan station. 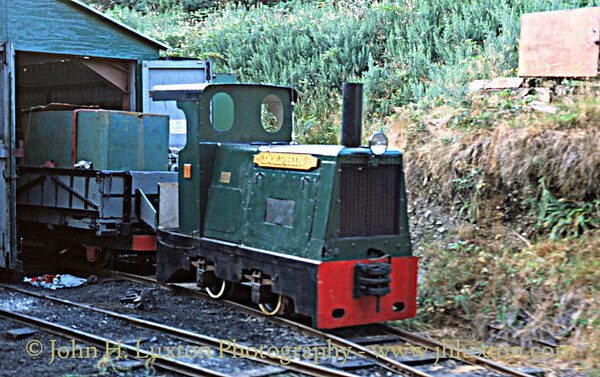 Diesel locomotive DOLPHIN outside the shed. 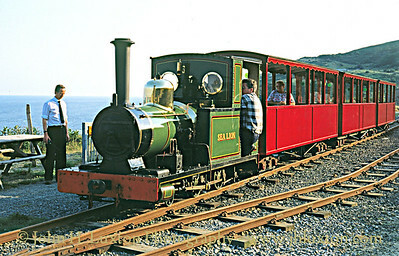 The original first locomotive SEA LION at Sealion Rocks Station. 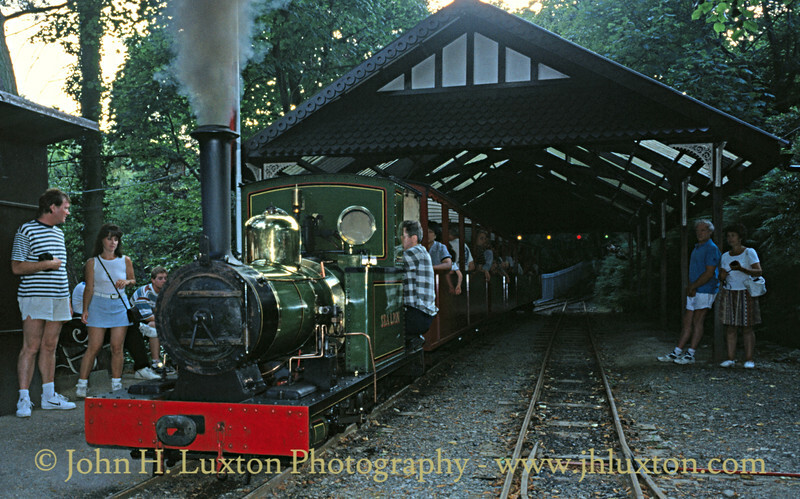 The original first locomotive SEA LION at Sea Lion Rocks station. 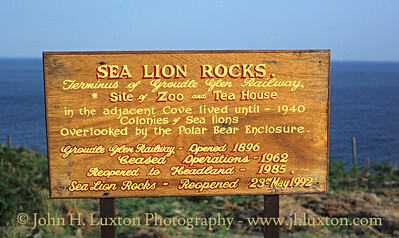 Sea Lion Rocks Station nameboard - the sign says it all! 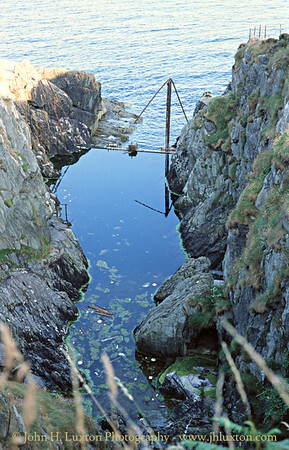 The remains of the sea lion pool created by daming a tidal inlet. 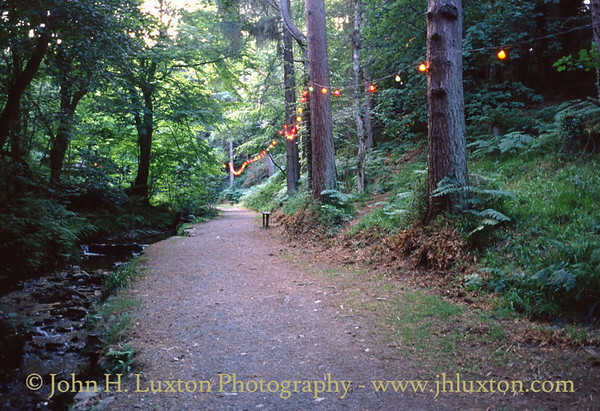 Also visible the remains of the footbridge which spanned the pool. 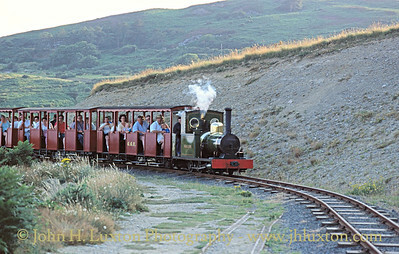 Evening view of Sea Lion Rocks Station between trains. 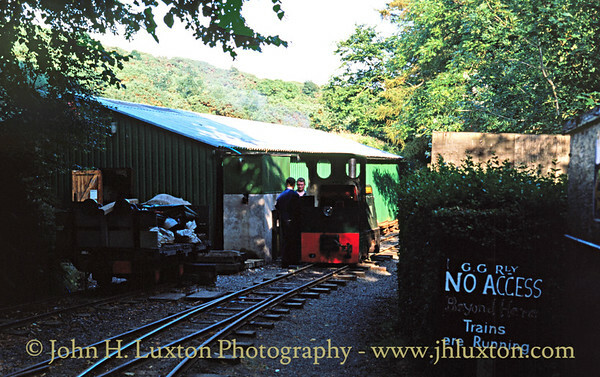 End of the line! 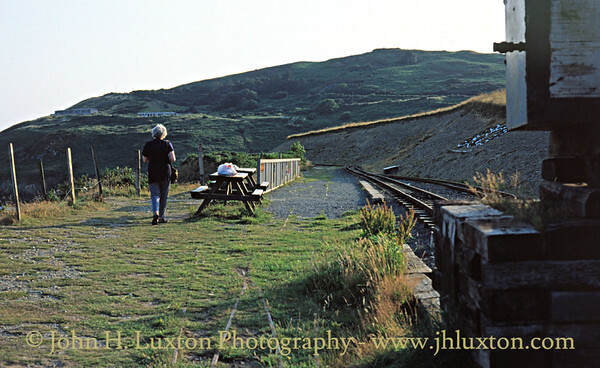 A substantial buffer stop marks the end of the line, at Sea Lion Rocks Station, beyond the ground falls away into the inlet which formed the sealion pool. 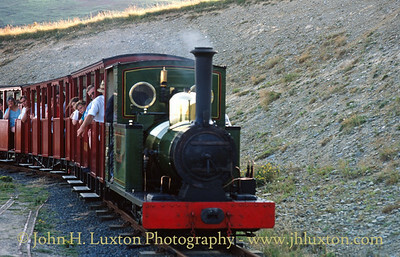 Just to the right of the buffer stop can be seen the old buffer stop and remains of the old line. 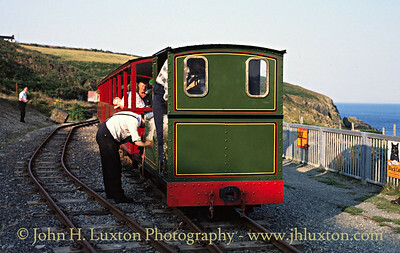 The new line is built slightly inland at this point to protect the line rom coastal erosion. 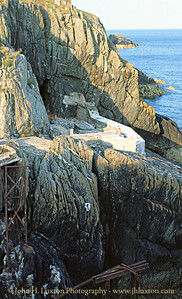 The remains of the polar bear enclosure and caging can be seen on the cliff side at Sea Lion Rocks. 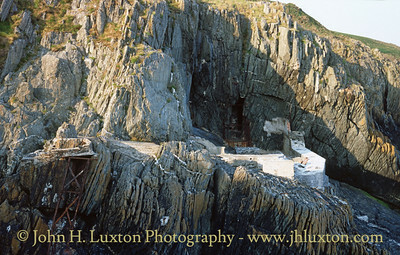 To the bottom left of the photograph can be seen the remains of the footbridge across the sealion pool. 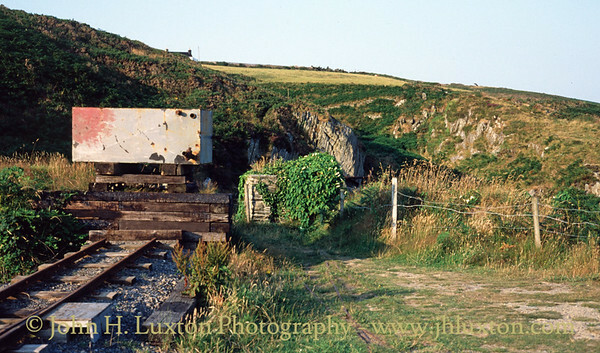 The remains of the polar bear enclosure and caging can be seen on the cliff side. 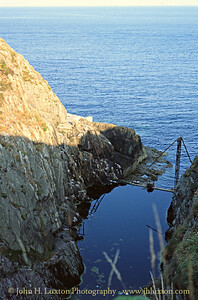 To the bottom left of the photograph can be seen the remains of the footbridge across the sealion pool. 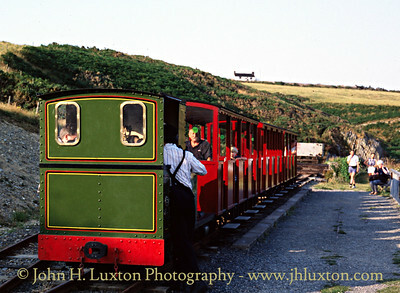 SEA LION approaching Sea Lion Rocks Station with another train from Lhen Coan. 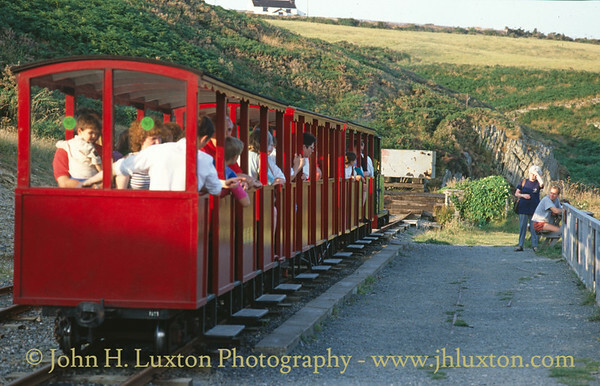 A train arrives at Sea Lion Rocks station. 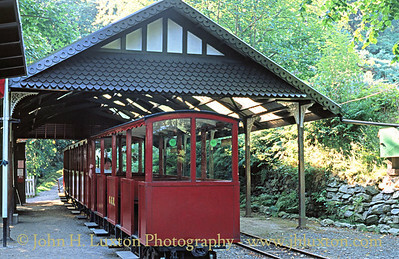 The carriages where those used when the line was originally reopened. 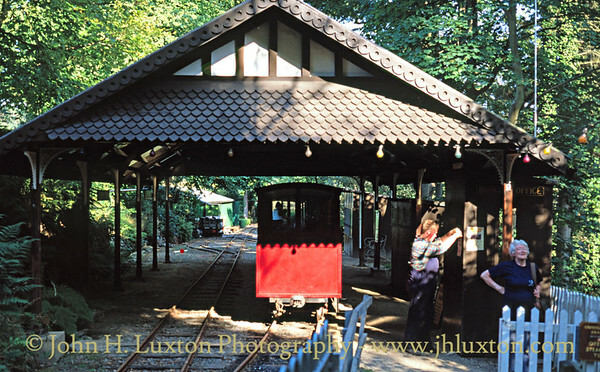 A rake of original carriages is now available. 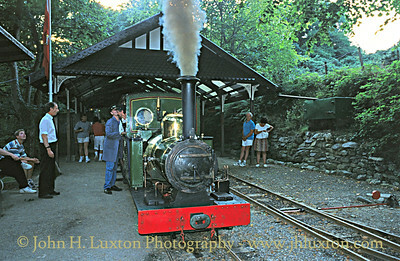 SEA LION at Lhen Coan Station. 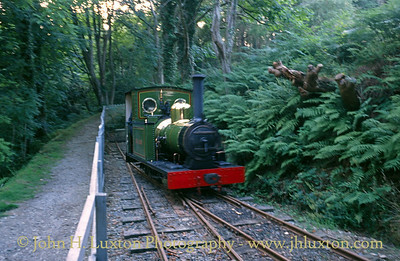 The path to the railway.